Why Shouldn’t You Buy Your Engagement Ring On Ernest Jones In 105 Words? Ernest Jones is a bad choice for you if you are hoping to use their Interest Free credit for multiple purchases. The offer only applies to a single purchase, which exempts gifts as well. Additionally, for utilizing the complete benefits of interest free credit, one must use a credit/ debit/ insurance card as other options are not available with Ernest Jones. Ernest Jones is also not a good option if you are looking forward to the delivery of an item at an address paid by a card with a different billing address, then you’re in for heavy disappointments as EJ does not authorize the same. Why should you buy your engagement ring on Ernest Jones in 245 words? A part of the signet Group, Ernest Jones has an exemplary history of high-rated reviews from almost all of its customers. 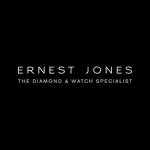 Intelligent Staff: At Ernest Jones, the customers are guided by a staff that is exceptionally qualified to assist all their jewelry queries. This also helps a buyer skim through all the selection in the store to find the perfect engagement ring. Leo Diamond Patent: Handcrafted by Leo Schachter, Ernest Jones has an exclusive patent of the range of Leo Diamonds with its patent for brilliance and precision adding to the wonderful diamonds made by EJ. Friendly and Responsible staff: An added benefit at Ernest Jones is that the staffs are also amiable and assists the customers to the fullest of their limits. Cutting-Edge Diamonds: With a variety of metal, brand and style designs, shopping at Ernest Jones is effortless owing to their unique diamonds, each one better than the previous. Multiple Payment Options: As Ernest Jones provides scores of payment options like, interest free credit, PayPal, gift card and Ready-pay, payment is strictly ‘easy’! Click & Collect: Shopping without hassles is the hallmark of Ernest Jones. Click & collect helps a customer click to confirm a proposed date of delivery of the chosen engagement ring, on which it is delivered free-of-cost to the Ernest Jones Store of the customer’s choice! Being part of Signet Jewelers Ernest Jones Jewelers has a reputed history in jewelry since the past half a century. Started in Oxford’s Street with one store in 1949, the business currently owns 180 jewelry stores in U.K with endless luxury collections in its forte. One of the earliest and experienced diamond merchants in the virtual marketplace, shopping with EJ is easy as the staff is dedicated and sensible with respect to their profession. The majority of the customers have emphasized on the discipline of the Ernest Jones crew, regardless of virtual or direct purchase. Ernest Jones provides a 30-Day replacement on all its products and lifetime warranty for manufacturing defects. This firewall keeps the customer fail-proof confident, when buying with EJ. Better Business Bureau shows no complaints lodged against Ernest Jones, but being a long-term player in the diamond market, EJ has surely faced its own many yellow cards every once in a while. However, the good is that almost all of the reviews found were also resolved by EJ, sooner than later. Is Ernest Jones a Fraud? Our expert staff, in aspects of legal, customer-ratings and fidelity to facts has examined Ernest Jones Online Diamond selling portal and has inferred that the business is an uncompromising on its reliability, legitimacy, popularity and honesty! Ernest Jones has a history of unique most diamonds like never seen before, inclusive of the classics and the contemporary collections. Purchasing your jewels at EJ will not only be a safe, but will also teach you how dedicated-real-diamond-sellers deals the diamond! EJ Website is built with a focus on keeping things simple, short and clear. The website provides everything that a diamond buyer needs to know as well as complete reports on the diamonds one would like to buy. With jaw-dropping varieties of stunning diamonds for engagement and wedding ceremonies, EJ has many intelligent combos of ornaments designed for Wedding, Engagement rings, Birthday, Christening and Anniversary as well. The website provides detailed versions and specs of the diamonds displayed, along with the Terms and Conditions applied on every piece of jewelry. If you cannot find your favorite engagement ring on the website, consult their stellar smiths to avail a tailor-made the engagement ring right out of your dreams. Our trial request was responded within 24-36 Hours after inquiry. Offering 100% Refund and Replacement when returned (Free Returns) within 30 days of purchase, EJ assures the confidence of the customers to shop carefree. In short, when you visit EJ, your choice is the final answer! Fantastic customer service received by Tina at the high wycombe branch.